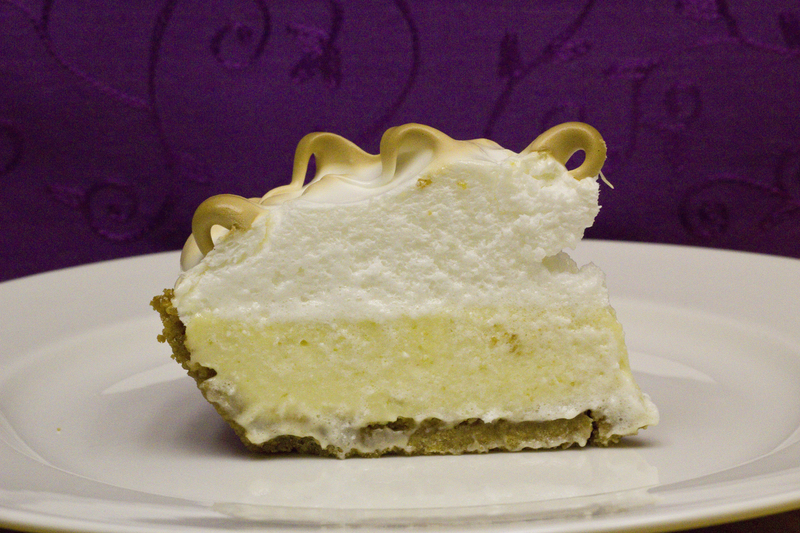 Day 310 – Key Lime Pie! Mix above ingredients well and press into the bottom and sides of an 8 inch pie tin. Bake @ 350 degrees for 8 minutes. Beat egg yolks and lime zest with an electric mixer in a mixing bowl for 5 minutes on high speed. Gradually add the condensed milk and continue to beat an additional 3 to 4 minutes until thick. Lower the mixer speed and slowly add the lime juice just until mixed in good….no longer. Pour the mixture into the baked pie shell and bake for 10 minutes @ 350 degrees. Cool on a wire rack. 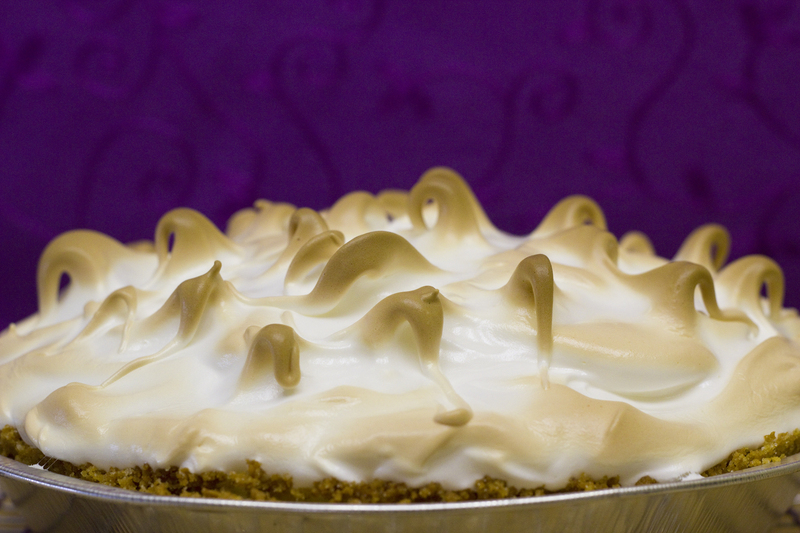 You can top with Cool Whip or Freshly prepared whipped cream, or top with meringue like in the picture above. See below for whipped topping and meringue instructions. Whip the cream and the confectioners sugar until nearly stiff. Spoon onto pie. Whip with electric mixer the egg whites and cream of tartar on high speed until soft peaks form. Gradually beat in sugar on medium speed. Beat for 4 minutes or until sugar is dissolved and stiff glossy peaks form. (I didn’t beat mine for 4 minutes). Spread over pie sealing to the edges of the crust to prevent shrinkage. Use the back of a spoon to create little curly peaks. Bake an additional 13-15 minutes to brown on the middle rack in the oven set to 350 degrees. Don’t burn the top. Let cool for 3 hours before cutting. ENJOY! This entry was posted on Wednesday, November 16th, 2011 at 2:25 pm and is filed under Uncategorized. You can follow any responses to this entry through the RSS 2.0 feed. You can leave a response, or trackback from your own site.